The torrid outperformance of macro funds appears to be ending with a whimper. After a blistering 30% return in 2018, largely thanks to an outsized gain in May when bets against Italian bonds repaid in spades, hedge-fund manager Alan Howard has had a painful start to 2019 with his Brevan Howard AH Master Fund - which was launched two years ago - sinking 8.5% in first two months of 2019 according to Bloomberg. Macro funds bucked the dismal underperformance by the broader hedge fund community in 2018, when their bets on higher interest rates and volatility caused by geopolitical tensions, together with generally bearish disposition led to outsized returns. 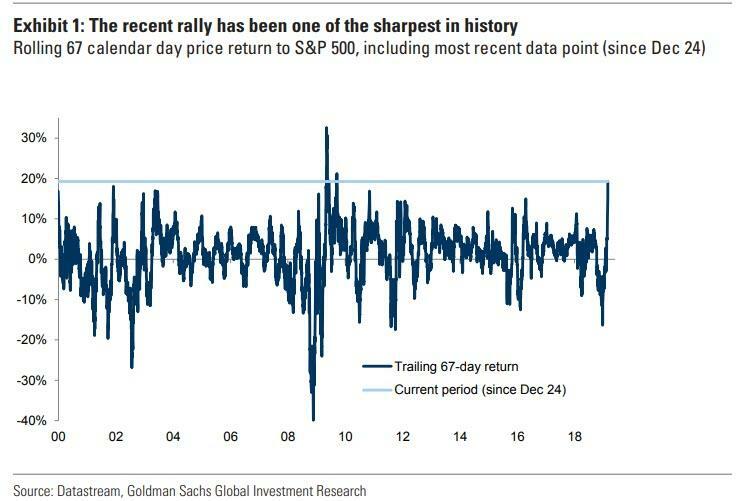 However, following the sharpest rally since the financial crisis, much of their gains have evaporated. The loss did not affect all funds run by the billionaire: the flagship, Brevan Howard Master Fund, lost just 0.2% in the first two months of this year, according to an investor letter seen by Bloomberg. It also posted a more muted 12.3% return in 2018, which was its best year since the end of the global financial crisis, Bloomberg reported in January. Meanwhile, Bloomberg also notes that many of the other Brevan funds that were launched to reduce the firm’s reliance on the main Master Fund started the year in the black, so the underperformance may have been stratregy specific. For example. the Brevan Howard MB Macro fund led by trader Minal Bathwal gained 4.7% in January, while the firm’s Alpha Strategies pool returned 2%. Even so, as a result of the chronic underperformance by the macro hedge fund, Brevan’s assets had fallen to $6.4 billion from more than $40 billion in 2013. 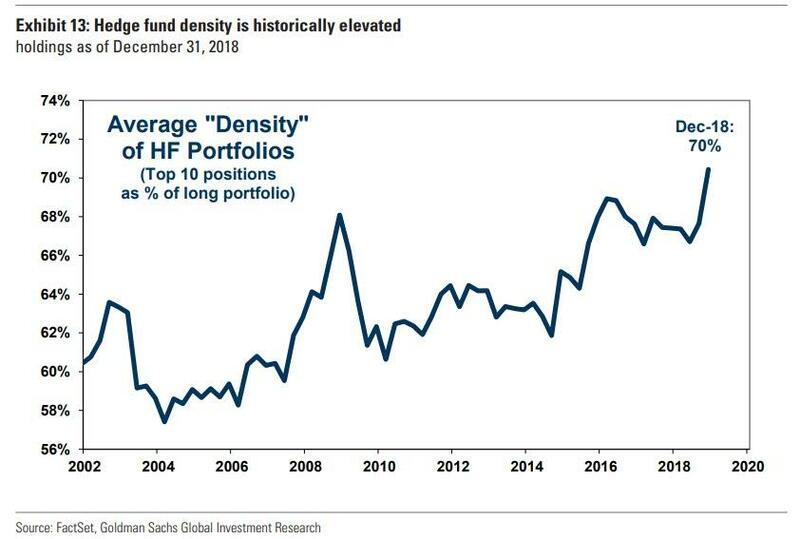 Taking a step back, after a dismal Q4, and a devastating December, the hedge-fund industry as a whole rebounded strongly in 2019, gaining about 3% in January and February, according to Eurekahedge, when a handful of mostly tech stocks posted significant gains, the same handful of stocks that most "diversified" hedge funds appears to all be invested in now that the concentration of holdings by the 2 and 20 crowd is the highest on record.